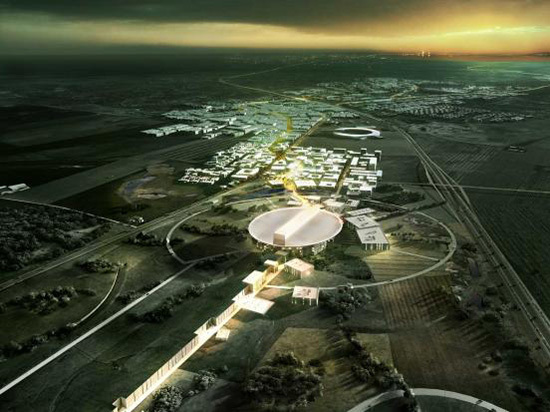 A new linear accelerator is being built in Lund, Sweden. The European Spallation Source, whose bizarre name will be explained by the end of this article, will begin construction this year. The plan is to open in 2019 and become fully operational in 2025. 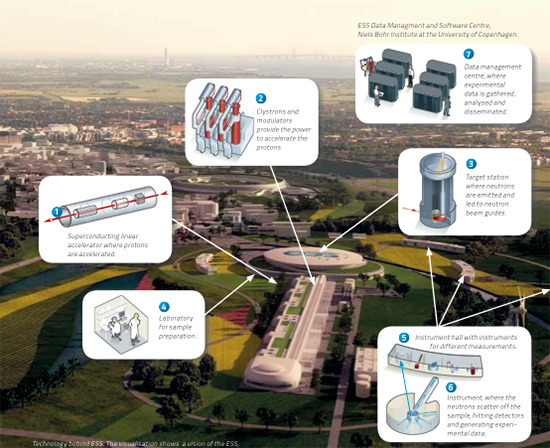 Its centerpiece is a linear accelerator that will use a technique called neutron scattering to gather information that could be used in the fields of energy, telecommunications, manufacturing, transportation, information technology, biotechnology, and health. Particles will be shot along the 600 meter long accelerator toward a heavy metal target. On impact, the particles will emit neutrons, through a process called spallation – hence the name. These neutrons will then flood through beamlines and arrive at experimental stations. At the ESS Data Management and Software Centre in Copenhagen, researchers will analyze the data collected during these collisions, looking to understand what these particle interactions can tell us about the behavior of our natural world. In a recent announcement, the ESS selected Henning Larsen Architects’ plan for the design and construction of the facilities. The HLA design is unique in that it integrates the very thing the ESS is studying, nature, into the core of its design.